The U.S. Department of Agriculture announced $12 billion in emergency aid to offset the effects of new tariffs — to the relief of many Texas farmers. But some Republicans in Congress would rather see Trump end the tariffs. The Trump administration on Tuesday announced up to $12 billion in emergency aid for farmers impacted by the president’s trade war — which came as welcome relief for Texas farmers who were afraid recently announced tariffs would hurt their business. But some Texas lawmakers have criticized the move and called on the president to end the tariffs. President Donald Trump issued a slew of tariffs on Chinese goods earlier this month, prompting China to respond with tariffs on $34 billion worth of U.S. goods. 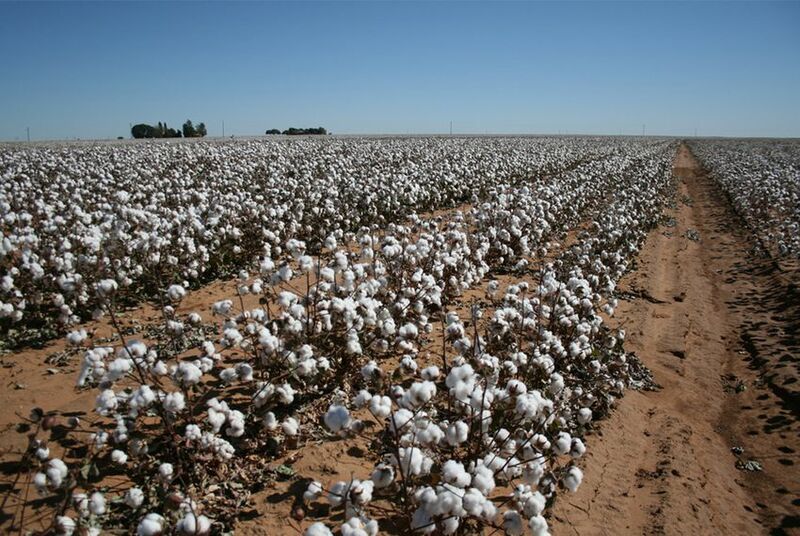 The Chinese tariffs threatened to deal a serious blow to Texas agriculture, which provides nearly half of U.S. cotton exports to China. China purchased $16 billion worth of Texas goods in 2017, making it the third largest recipient of the state's international exports. The tariffs came as the U.S. agricultural sector was already in a state of decline, said Gene Hall, spokesman for the Texas Farm Bureau. Just before the tariffs went into effect, farm-related income was about half of its 2013 value, according to the U.S. Department of Agriculture. "Our crop is poor, and then you put a poor price on top of that, and myself included and many of my neighbors, we’re going to struggle to make ends meet on our grain sorghum crop this year," said Scott Frazier, a sorghum and cotton farmer south of Corpus Christi. "So for us any little bit of help to get past this trade war issue is going to be significant." Farmers will be able to sign up for the aid in September, and it will be funded by the Commodity Credit Corporation, a federal program that provides relief for farmers by buying their crops, often after natural disasters or other crises. This will be the first time the program has been used to alleviate the effects of a trade conflict. Arlan Suderman, chief commodities economist at financial advising firm INTL FCStone, said the tariffs are unlikely to last long because China won't be able to pay higher prices for U.S. goods indefinitely and alternative partners like Brazil won't be able to keep up with Chinese demand. Suderman said he believes the federal aid to farmers is politically motivated. Trump garnered wide support in rural areas and with the midterm elections less than four months away, he needs to shore up support from farmers harmed by the tariffs, he said. Hall said the tariffs and the federal aid are only temporary measures as the administration tries to force China to the negotiating table to end what they call predatory practices — such as restrictions on allowing new U.S. commodities into the Chinese market. Frazier said he and his neighbors will have a hard time paying their bills under the current tariffs. But he and Hall said Trump's moves haven't soured their opinion of the president, who revealed his protectionist stances during his campaign. Frazier said the aid package showed Trump’s commitment to helping U.S. agriculture. But not everyone is so positive. Casey Guernsey, spokesman for Americans for Farmers and Families, said he would much rather see the administration making better trade deals instead of launching tariffs, which he said have not been effective in the past. Trump's $12 billion plan met with mixed reviews on Capitol Hill. U.S. Rep. Mike Conaway, a Midland Republican who chairs the U.S. House Agriculture Committee, defended the tariffs and the aid package. "The president’s efforts to stand up on behalf of American producers and not allow the Chinese to use them as a weapon against us I think is the right thing to do," he said. "It is the president’s attempt to try to not let China use our producers as leverage." But providing payments to farmers is not viable long-term, he added. "Trade is the long-term solution. But in the meantime, we’ve got to have China agree to abide by their agreements they’ve agreed to, and that’s what this is all about," he said. Several Republican lawmakers from Texas who typically fall in line behind Trump spoke out against the plan — an indication that the tariffs are driving a wedge between the president and congressional allies from rural states. U.S. Sen. Ted Cruz, R-Texas, denounced the financial assistance as "a mistake" on the Chad Hasty Radio Show. "The answer should not be government aid. It should be allowing farmers and ranchers to sell their goods," he said. The most biting rebuke came from U.S. Rep. Jeb Hensarling, R-Dallas, a staunch free market advocate who told CNBC he thinks Trump has overstepped his authority. He added: "We have a policy now that is taxing the American consumer and then bailing out U.S. farmers with welfare. I don’t get it. I don’t agree with it." Trump fired back at critical lawmakers on Twitter Wednesday morning, calling them "weak."